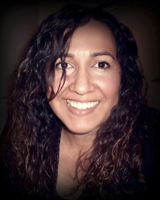 Monica has been teaching piano for over 15 years in the East Bay. She is a former teacher of the Academy of Music in Vallejo and Piedmont Piano company in Oakland. She received music instruction from private piano teachers in the East Bay, among them, Guy Arrostuto, Diane Donovan, and Dean Friedrich. She studied composition at the Conservatory of Music in San Francisco and Cal State East Bay. She is currently working on her Masters Degree in Psychology. Monica loves every aspect of education and enjoys tutoring all subjects but most of all enjoys teaching music. She knows the importance of having music education as a norm in all communities and feels strongly that children’s music education helps with academic studies. For these reasons, her goals in music are to perform and provide affordable music education in the East Bay.